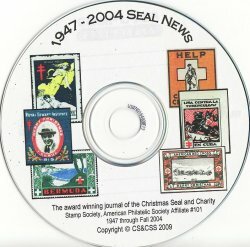 CS&CSS Seal News, 1947-2004. The Seal News is the official quarterly publication of the CS&CSS. Volume I #1, 1947 thru Fall 2004, nearly 5,000 pages, B&W, computer CD edition, pdf files. The official journal of the society. Great for research and general information. 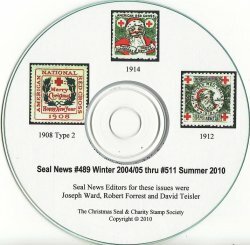 Published by the Christmas Seal and Charity Stamp Society (CS&CSS). 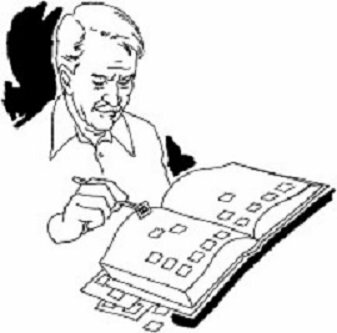 Catalogs are in pdf format, all images are b/w, 2009. Software is Non-Refundable and Non-Returnable. However, we will exchange a CD damaged during shipment. This catalog can be shipped with USPS Media Mail to U.S. destinations. Choose USPS Media Mail as a shipping option at checkout. Or, First Class Mail International for global delivery.